When looking for a secure and reliable door for a business, particularly one dealing with cash or valuables, look no further than ballistic doors. Not only are ballistic doors bullet-proof, they are also blast resistant which will help you against fired weapons, explosions, and even forced entry or any criminal act. If you’re thinking of installing a ballistic door, they must be tested to comply with Australian standards that have been developed by the Building Code of Australia (BCA). 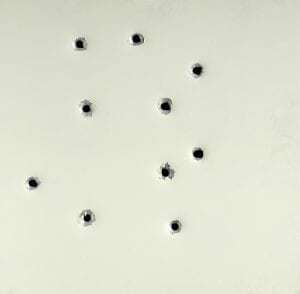 These standards (AS/NZS 2343:1997) specify the requirements for bullet-resistant panels and elements based on their performance in preventing penetration by bullets and projectiles fired from firearms and tested under controlled conditions. 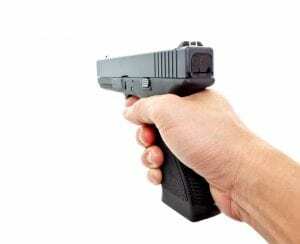 These standards provide a classification system that indicates the size and power of the firearm round that can be stopped by the door or panel. This ranges from G0 that will stop 3 strikes from a 9mm Parrabellum round which is a typical handgun round, up to R2 which will stop 3 strikes from a 7.62mm rifle round, and S1 that will stop a 12 gauge slug fired from shotgun. Along with the actual door units, hinges, locks and frames are also tested to ensure that they can withstand the sort of pressure and impact that they are supposed to. If you have a ballistic door, you need to know that it can do the job otherwise the results can be devastating. In terms of how they function, the choice is up to you because they work as swing, automatic and even sliding doors. For the purpose of fitting a variety of different buildings, they can also be found in a range of different sizes. Although extras must be factory fitted, you can include glazed viewing windows and locks. When it comes to material, steel is the most common option but you will also find reinforced wood and glass. Both your appearance and the needs of the door will decide which material you go with but if you’re looking for maximum protection, steel will be your best option as it will provide the best support from explosions and weapon damage. Many years ago, ballistic doors would come as a standard colour but today, you have the option to add a finish to make it more aesthetically-pleasing. If you have a general theme or design to your building, your door can be finished to go with the look so it doesn’t look too out of place. If you wanted a door that wasn’t extremely obvious, integrating it into the rest of the building may be wise. 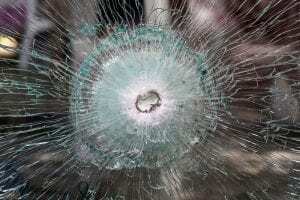 Bulletproof and ballistic doors often include windows or vision panels. Of course, these panels must also fully comply with AS/NZS 2343:1997 and be able to sustain impacts from bullets and projectiles. Vision panels are often essential for security and customer contact. Without being able to see what is waiting for you outside, it is not always safe to leave the building. Do You Require a Ballistic Door? Ultimately, anyone that feels as though they need the extra layer of protection can get a ballistic door but there are common industries and buildings that always choose this safety option. Mainly, businesses that store large amounts of cash overnight will choose a ballistic door such as banks, cash rooms, service stations, and ticketing agencies. Often nightclubs, restaurants and clubs will also use ballistic doors to secure their premises. Another reason why you might choose a ballistic door is if you need the protection such as prisons, police stations, and embassies. 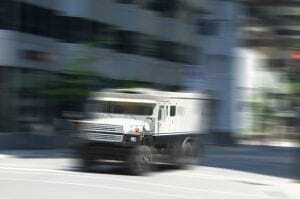 Finally, many construction and mining businesses also choose to go for ballistic. As long as the door is tested and complies with the regulations, any private business can request a ballistic door so get in touch with a professional to find out more today.